Vsenn is a new modular phone company that may compete with Google's Project Ara. A prototype for Project Ara. Google has been working on its Project Ara modular smartphone since 2013, but it’s not the only company interested in the concept. Another company, Phonebloks, actually announced its work on the idea a few months before Google in 2013, and the two companies have been collaborating ever since. But a competitor may be on its way up. The idea behind modular smartphones is that you can customize them to have more of the hardware you want and fewer of the parts you don’t care about or need. For example, if you wanted to use two of the modules for batteries so your smartphone could hold extra juice and sacrifice external speakers or another component, you could. Another crucial notion behind modular phones is that they would keep smartphones from becoming obsolete, because when a better processor or camera came out, you could just take out your old ones and snap the new versions in. Project Ara is scheduled to do a market pilot sometime next year, and now other companies may be cropping up in the field. As Gizmodo reports, a new startup called Vsenn—founded by a Nokia developer who was a project manager on the Nokia X initiative—has created a website touting a modular smartphone that has a focus on simplicity and privacy. Vsenn plans to have only three modules: the camera, battery, and processor/RAM. This makes it sound like a Vsenn phone would be less customizable than one from Project Ara, but that simplicity might make the product more practical and scalable for consumers. The company says it will focus on privacy with three layers of encryption, free VPN access, and secure cloud services. Plus, it claims that the phones will run stock updatable Android and have 4.7-inch HD screens. With a one-page website, Vsenn is clearly in its early days. And—who knows?—it may never move forward. But the fact that other designers are working on modular smartphones is significant. 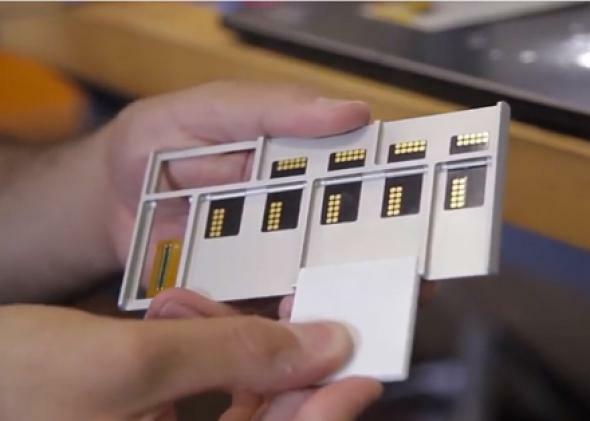 So far, Project Ara and Phonebloks have mainly seemed to be working on a wacky and intriguing concept. Maybe modular smartphone development is about to get a lot more serious.